Olympus Technologies has a great deal of experience with robotics and automating systems. Here are some of the ways that we are committed to supporting our customers post installation. Olympus Technologies is fully qualified to service every aspect of your Reis Robot System. It is common practice to annually service a Reis system to ensure you keep your production up and running and limit unnecessary down time. If you would like a quote for a robot service please either call the office or contact us here.. However well you maintain a robot, parts do fail due to fatigue. If you find yourself with a robot in need of repair we’re here to help. Call us at the office or contact us here.. to see how Olympus Technologies can help you. We provide annual support contracts for all our installed robot systems, which ensures help is only a phone call away. So if you would like to add a bit of insurance to your robot system why not call us or contact us here.. to discuss your support contract requirements. We are always happy to come to site to support you with any issues you are having with your production. 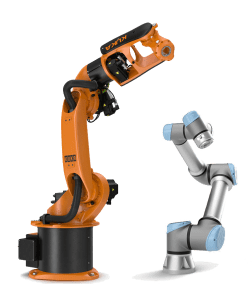 If you would like a quote for some onsite support call us or contact us here..
Olympus Technologies offers robot programming support for REIS, KUKA and Universal Robot systems.Whether you are working with a brand new system or having trouble with an existing one Olympus Technologies has three decades of robot programming experience at your disposal to get you up and running with minimal downtime. 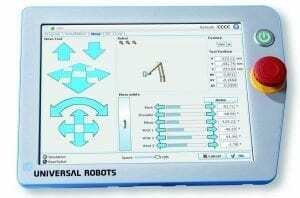 If you would like to discuss some robot programming support please contact us here..
At Olympus Technologies we offer training courses for REIS and Universal Robot Systems at our site in Huddersfield. To read more about the training courses available please click here..